Hey, kupo! 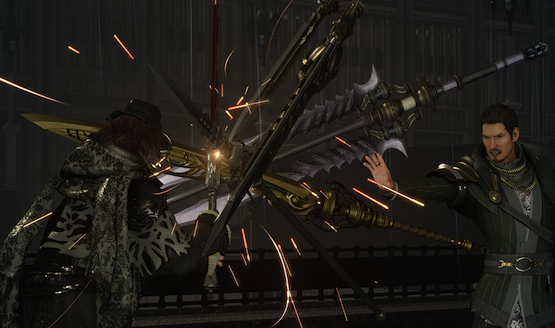 Square Enix has outlined its PAX East 2019 with playable demos of Final Fantasy XV: Episode Ardyn, Chocobo’s Mystery Dungeon Every Buddy, Dragon Quest Builders 2, and more. Square Enix has also joined forces with bubble tea brand Kung Fu Tea to prepare Tidus and Yuna’s Grape Elixir, a themed drink inspired by the world of Spira in Final Fantasy X. At the PAX East booth, you can collect a promotional card that can be redeemed at Kung Fu Tea locati0ns around Boston for the Grape Elixir until March 31st. It will be then available from March 28th to April 20th in stores nationwide. Final Fantasy XIV fans can get lanyards and foam dark knight swords. While at the booth, they can take a picture in front of a replica aetheryte statue that’s located in Kugane. There will also be a challenge to defeat Seiryu, a challenging boss from the MMO; if you beat it, you will get a free t-shirt. The company is hosting a bunch of contests. You can get a Chocobo’s Mystery Dungeon Every Buddy! lunch box if you’re one of the first 25 people who show your proof of purchase of the game, a slime plush could be won by posting a picture of the Dragon Quest Builders 2 photo wall on Twitter or Instagram, and lastly, a mech edition of Left Alive and a new logitech headset could be yours if you snag a photo of Left Alive‘s poster and share it on Twitter. If that’s not enough, fans can also buy Brings Arts figures, Play Arts Kai figures and the Final Fantasy Trading Card Game. Panels are, of course, planned for the event. PAX East 2019 will take over Boston from March 28th to March 31st. We already know that Gearbox ha a few announcements set around it, including the possibility of Borderlands 3. If any Square Enix news comes out of the event, regarding PlayStation, we’ll let you know!